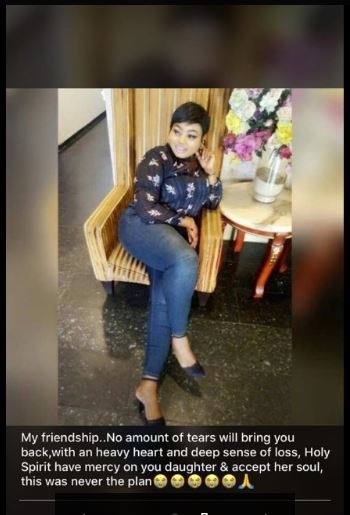 Angel Onyebara Died Mysteriously On Saturday, September 15, 2018. "We are not sure exactly what happened. But we do not think the young doctor has a hand in it. But we are sure juju is involved"
Precious woke up to the sound of her phone ringing early on Sunday. She looked at the time, it was just 6:06am. Her first instinct was to ignore the call but the caller dialed again. This time her ring tone "Na money be fine bobo", sounded louder. She picked with her mind still woozy. Before she could ask "Who is this"? She heard the loud screams in the background. "Angel don die ooo... dem don kill our angel... bad people don get we fine girl". She felt her heart skip several beats. Angel was dead? She asked herself remembering they spoke just a few minutes before midnight. "What happened? Stop shouting and tell me what happened. Jesus, Jesus my friend cannot be dead. Stop shouting and talk to me", she yelled. This is what Precious told Bounce News. 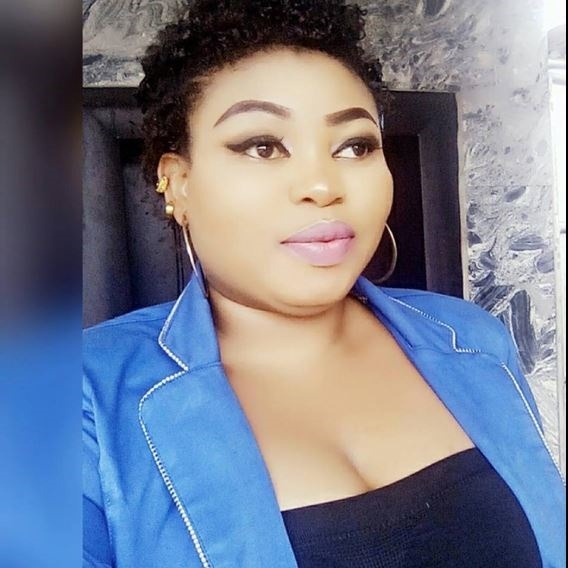 Angel Onyebara popularly know as Angel met and fell in love with Chief Pius. They were an item for about 4 years. Angel provided care and affection while Chief Pius paid all the bills. But it seems Chief Pius fell in love and asked Angel to marry him. She said yes but was sternly discouraged by some relatives and friends. They advised her to get a young suitor and start a new life. She remained undecided until June, 2018. She called Chief Pius and asked that they quit the relationship as she was prepared to move on. The hurt Chief declined her request and begged her to stay on. Angel had made up her mind and tried to end all relations with Chief who was still adamant to have her as his second wife. 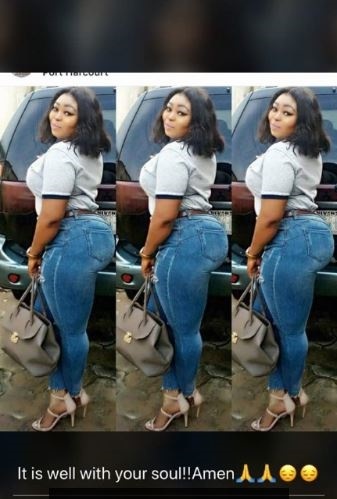 Angel, a graduate from the University of Port Harcourt, joined Facebook on February 2011. She couldn't find a steady source of income so she became a runz girl. Sleeping with and massaging men who eventually pay between N10,000 and N20,000 and in some cases more. "It's not as if she was doing anything so bad. She is not a bad girl. She is loving, caring and self-less. "She cannot hurt a fly. All she wanted was what we girls want - to be a few good clothes, carry good bags and wear nice weaves. "She did not deserve to die like that", she lamented. On one of her meetings with a prospective client, she hooked up with Dr. Alex. The young man looked between the age of 30 and 35. She was wooed by his soft spoken voice and calm mannerisms. They allegedly hung out a few times then she began to visit him more often between June and August. They had fallen in love or so it seemed. Angel visited Dr. Alex as had become their routine to spend the weekend. She let herself into the house because she had a key. Dr. Alex came back to meet her and they had a good time till Saturday. Dr. Alex was on call and had to be in the hospital all night on Saturday. He left home that evening and spoke last to Angel just before midnight. He called several times after 4am on Sunday but got no response. On arrival at home, he let himself in and met her unconscious. Dr. Alex rushed her to hospital where she was pronounced dead my another medical team. Her corpse was lodged in a mortuary while her relatives and friend including Precious was informed. Surprisingly, the first person to show up at the hospital was Chief Pius. He looked pained and demanded to know the circumstances that led to her death. He also demanded to know who brought Angel to the hospital that morning. Police officials have been contacted and an investigation has begun. An autopsy result (which has not been verified by Bounce News) suggest she may have died of cardiac arrest. Precious says Dr. Alex told another mutual friend that Angel complained of migraine (severe headaches) a few times they had met and he advised her to seek medical attention. Precious told Bounce News, "We are not sure exactly what happened. But we do not think the young doctor has a hand in it. But we are sure juju is involved". So, how exactly did Angel die? We await a formal report from the police.